Though one of the biggest franchises of all time when it comes to merchandise, Disney Pixar's Cars hasn't exactly been their most acclaimed; the 2006 inaugural installment, while receiving a fairly positive response, was considered one of their worst efforts at the time, and it's 2011 sequel later found itself widely (and understandably) branded as Pixar's first bad film. This subsequent mixed reception of the series has made it's third installment one of the studio's least anticipated and currently lowest grossing films to date...however, I'd certainly dub it far from their worst in terms of overall quality. Cars 3 sees Lightning McQueen (Owen Wilson) struggling to maintain his top positions in the racing league after the arrival of a new lineup of advanced opponents who outmatch him in almost every category. His subsequent ambitions to top them lead to naught but failure, and he soon finds himself questioning his future as a racer whilst also fighting to try and overcome these new rivals, mainly the arrogant wannabe champion Jackson Storm (Armie Hammer). Cars 3 is as gorgeously animated as any Pixar production - everything from lighting, textures, and overall emotion within each characters' facial expressions is spot on, and this is further brought to life by some excellent voice work across the entire cast. 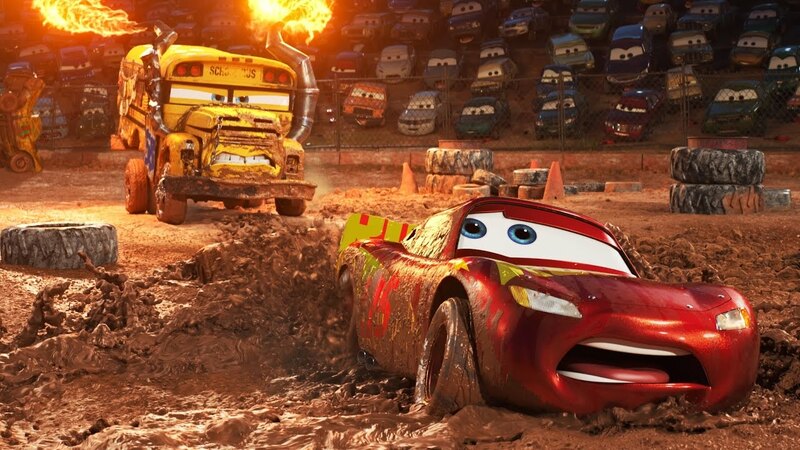 The overall tone is a decent balance of genuine heartfelt emotion, without going to extremes, and plenty of approachable comedy, something I felt the original Cars also handled quite well, but one it's sequel ditched in favour of an onslaught obnoxious gags. As it may initially seem, the story for this threequel is a little predictable at first glance, but some respectable twists that come into play towards the climax certainly help make it more interesting and more what we expect from Pixar. Whilst Mater (Larry the Cable Guy) was more of the lead hero in Cars 2, he returns to a comic relief this time round, and thankfully is always enjoyable to watch during his brief appearances - Lightning finds himself the star of the show once again, building upon his redeemed personality after the original Cars. The relationship developed between him and wannabe racer Cruz Ramirez (Cristela Alonzo) leads to some surprisingly touching moments, but said moments thankfully never become too sappy. 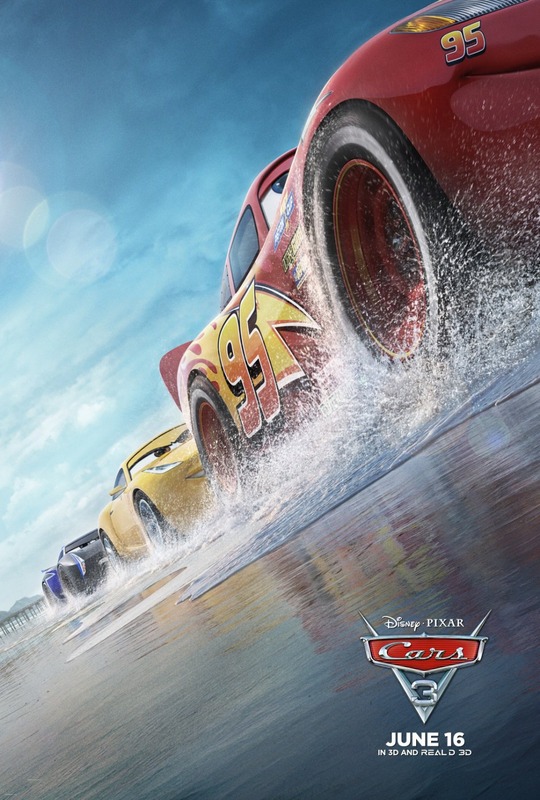 Perhaps the only major issue with Cars 3 is the somewhat bloated run time, which can make simple scenes drag out to uncomfortable lengths; this aside, Pixar's latest effort largely finds itself as a worthy redemption from it's lame predecessor and an enjoyable animated flick for a wide range of audiences.